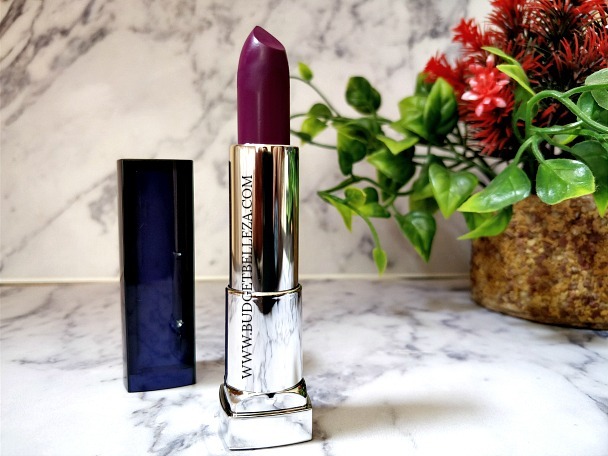 Maybelline is one drugstore beauty brand that I totally love. It never fails to experiment and always remembers to fall in budget and to me these are two hugest clap-worthy qualities of a brand. 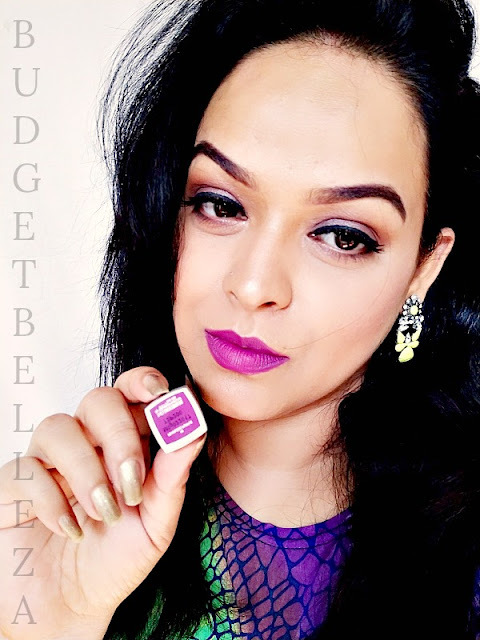 While taking a stroll of my blog I realized that even though I love and use Maybelline products a lot, I haven't reviewed them much. 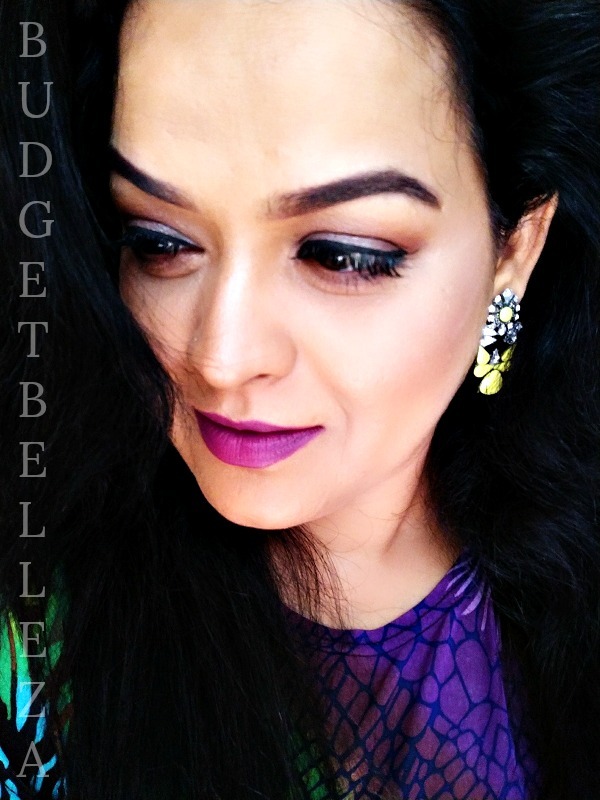 So, here I am with a much loved Maybelline Loaded Bolds Lipstick in Fearless Purple..!! 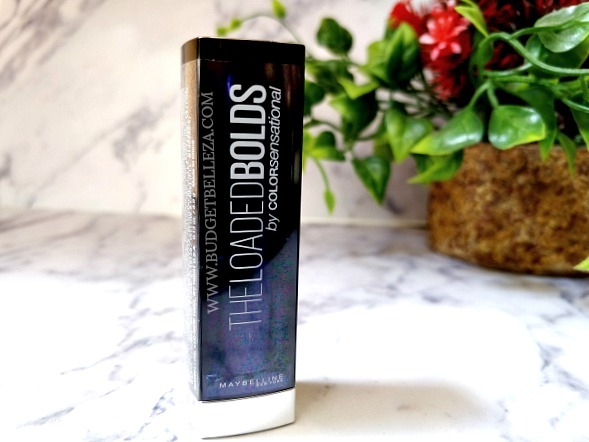 Achieve high-impact color in one saturated stroke with Maybelline's The Loaded Bolds lipstick. Hypercolor pigments and an opaque, creamy clay base deliver one-stroke intensity. The Loaded Bolds is available in a range of pigment-loaded shades from deep plums and electric blues to vibrant reds and natural nudes. 1. Delivers high-impact color in one saturated stroke. 2. An opaque, creamy clay base deliver one-stroke intensity. 3. Dermatologist and allergy tested. Also, the bullet in my case is totally detached from the very base. Nooo..not broken..just that the whole bullet comes out clean from the base....which indicates..its weak! Well the shade is what it says "Fearless Purple". The sad part is that the camera isn't picking up the exact colour. Its deeper, more cool toned and less bright than what it appears here. The shade is a true purple. I didn't notice any undertones,it is pretty no-nonsense beautiful purple. I would go on to say that it is hard to find this shade in drugstore brands. I did look for it earlier but all in vain! 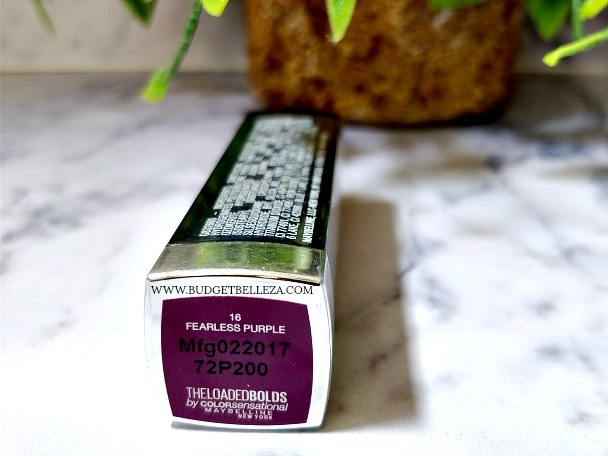 The hush-hush beauty information is that Fearless Purple is a close dupe of Mac Heroine,since I don't own Heroine I can't claim it to be true! Anyway, it will go well with all skintones equally. It is creamy to apply and feel..a dream..I know..!! It settles to a matte finish but not the drying, stretchy,dehydrated matte but a rather luscious matte. It transfers slightly initially but that doesn't hamper its intensity and finish. 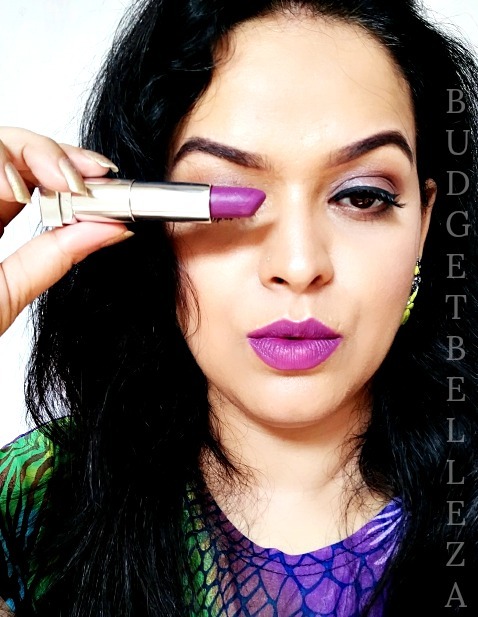 Even after settling to a matte finish, it does not accentuate the fine lies which is pretty uncommon for the matte lipsticks. This is hell of a pigmented lipstick. LOADED and BOLD both. Loaded and jam packed with pigment. It is truly a one-swipe lipstick and takes care of any amount of pigmentation you have on the lips. Hell Yeahhhh..I was waiting for this. It stayed on me WHOLE DAY.. and saw me through breakfast, lunch and dinner. Oh yess!! It just won't go. 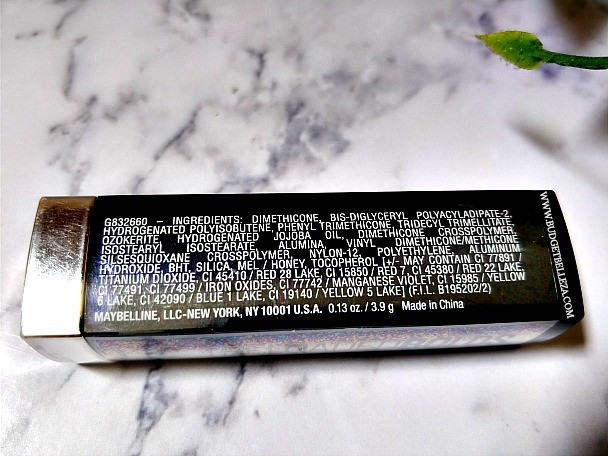 Now if you hate lipsticks that stain..switch tab..this isn't for you!!! It stains really badly and you'll need help of removers and oils to get rid of it. 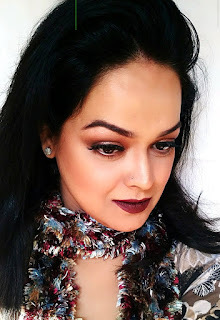 In love with the shade, texture and staying power!! 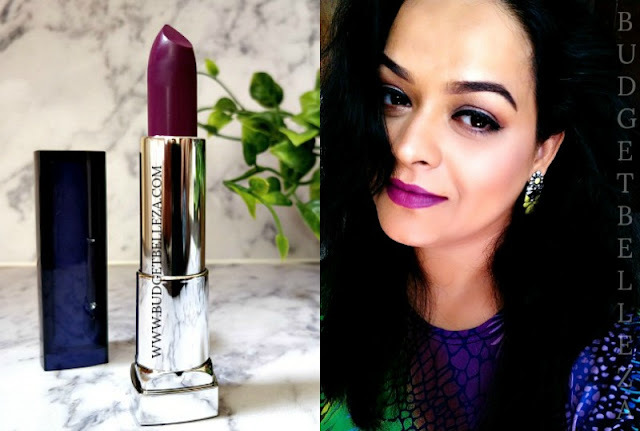 If you want to buy just one shade from the Maybelline Color Sensational Loaded Bolds range of lipsticks..buy FEARLESS PURPLE! Thanks Madhu..It'll look beautiful on you! 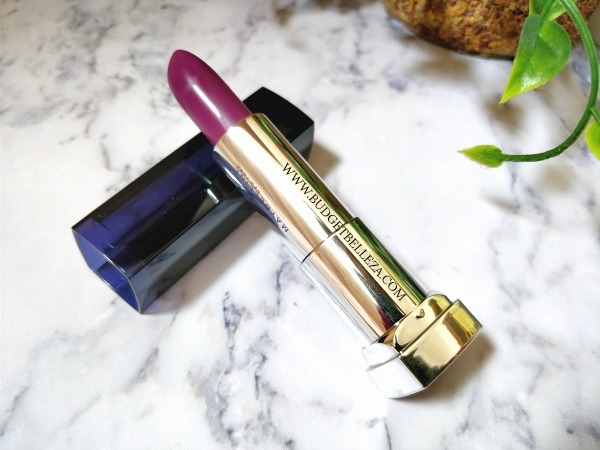 Awesome post babe.. Love that shade on you.. i like purple lipsticks some what.. Maybelline gives the best in less but I know what u mean with the transfer part. Wow wow wowwwwww... Am running to get this shade ���� you look perfect!